Ningbo Enwei Communication Technology Co., Ltd. Double suspension fixation insures cable to test requirements of cable torque, stretching, pressure, bending. . High temperature sealing performance: 60 &#8451;168h, internal air pressure 70Kpa, without decrease. Can you provide free samples9 - Of course, free samples are available, but the transport cost is on your account. 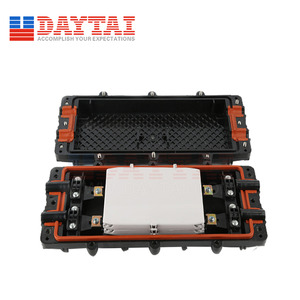 Detailed info Vertical Fiber Optic Splice Closure , with metal hoop, dome, vertical type, 4 (4x16mm) inlet or outlet ports, 1~6 trays for bunch fiber. The inlet/outlet ports could be decided according to quantity and diameter of cable, the corresponding port plugs should be taken away. (3) Accessories for customers' selection: earthing deriving device, pressure testing valve, buffer tube for bunchy fiber, 1 piece metal hoop. Innovative insert plates and fixing bolts are used to fix and seal FOSC, and its installation is quite simple. The FOSC is suitable for protecting fiber cable splices in straight-through and branching applications. 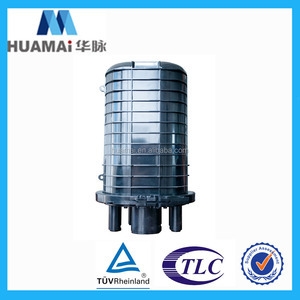 It can be placed in aerial, underground, wall-mounting and wall-mounting in handhole and duct applications. 1. Scope o f a pplication This Installation Manual suit s for the Fiber Optic Splice Closure (Hereafter abbreviated as FOSC), as the guidance of proper installation. 10 trays (ribbon) Fixing heat shrink able protective sleeve and holding fibers Suitable for : Bunchy : 12, 16, 32 (cores) Ribbon:6,8 (pieces) 3 Base 1set Fixing internal and external structure 4 Plastic hoop 1 set Fixing between FOSC cover and base 5 Gasket ring 1 set Big gasket ring is used to seal FOSC cover and base. C onfiguration as per specification 9 Insulation tape 1 ring Enlarging diameter of fiber cable for easy fixing 10 Metal hoop 1 set For wall mounting and pole hugging 11 Buffer tube decided by customers Hitched to fibers and fixed with FOST, managing buffer. 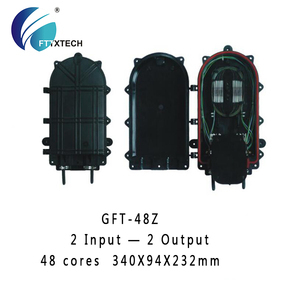 96 144 core telecom fiber optic joint closure splice closure Fiber optic splice closure is suitable for various kinds of fiber optic cable through joint and bifurcation joint protection. 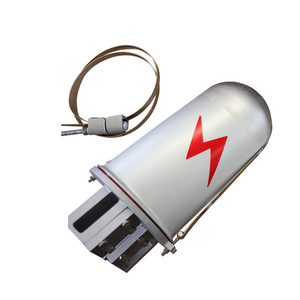 It can effectively prevent cold, heat, oxygen and ultraviolet nature materials caused by aging, and it has excellent mechanical strength. 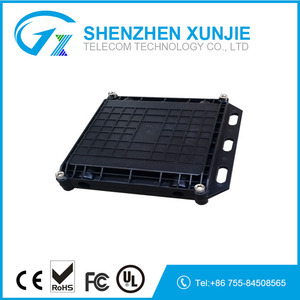 OUFFU is a professional Optical communication equipment manufacturing company that specializes in research and development, manufacturing, sales and service. 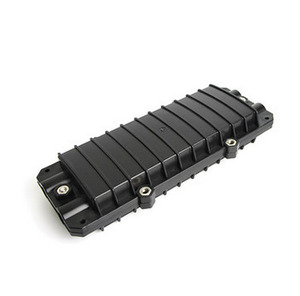 Alibaba.com offers 1,335 telecom splice closure products. About 94% of these are fiber optic equipment, 1% are other telecommunications products. A wide variety of telecom splice closure options are available to you, such as free samples, paid samples. 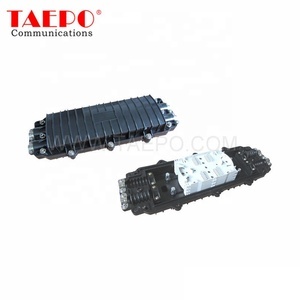 There are 1,333 telecom splice closure suppliers, mainly located in Asia. The top supplying country is China (Mainland), which supply 100% of telecom splice closure respectively. 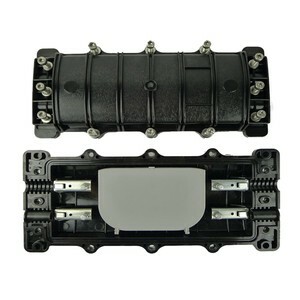 Telecom splice closure products are most popular in South America, North America, and Domestic Market. You can ensure product safety by selecting from certified suppliers, including 335 with ISO9001, 73 with Other, and 64 with ISO14001 certification.